A long time friend had purchased a collection of walking canes and desired a display case to present them. 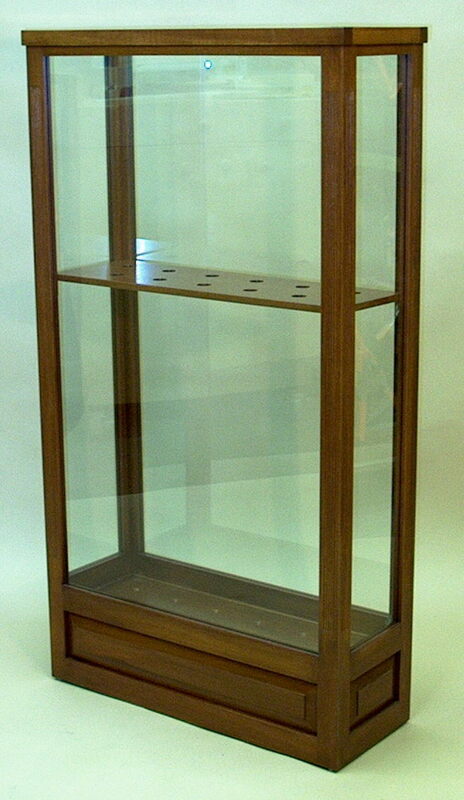 He was able to provide a sketch of a display case seen on a trip to England. 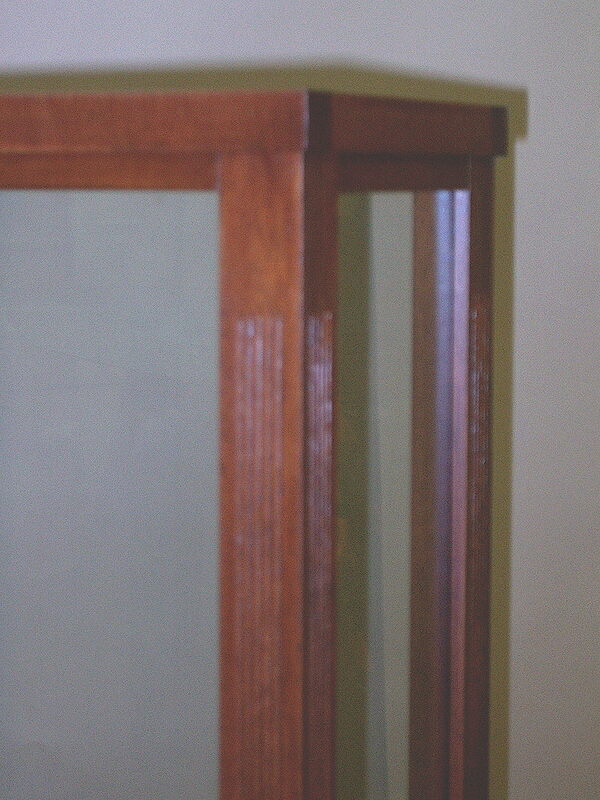 We sized the case to display eleven canes and chose mahogany for the wood. The upper and lower platforms posed a potential problem, because wood expands and contracts with seasonal changes. This movement is the cause of cracks and splits seen in so many older pieces of furniture. Plywood does not expand and contract, but is not attractive when the edges are exposed. The solution chosen was to drill 2" diameter holes in plywood, glue 2" diameter mahogany disks in those holes, and then cover the assembly on both sides with mahogany veneer. The through holes in the upper platform, and dimples formed in the lower platform, expose those mahogany disks and not the plywood.